Scion lives up to its reputation of designing bold, distinct vehicles with the 2014 xB. The sculpted wagon flaunts sharp lines and the boxy exterior that Scion popularized years ago, yet it remains fresh thanks to subtle enhancements throughout. Standard 16-inch wheels serve to heighten the 2014 Scion xB’s already massive curb appeal with young buyers. The 2014 Scion xB is powered by a lone, 2.4-liter four-cylinder engine that generates 158 horsepower and 162 lb-ft of torque. Those figures propel the 2014 xB from 0-60 mph in 8.6 seconds, which is pretty quick time for the segment. Scion focused on delivering both performance and efficiency when engineering the 2014 xB, and although it doesn’t stand out in either, the xB does deliver a nice blend of each. 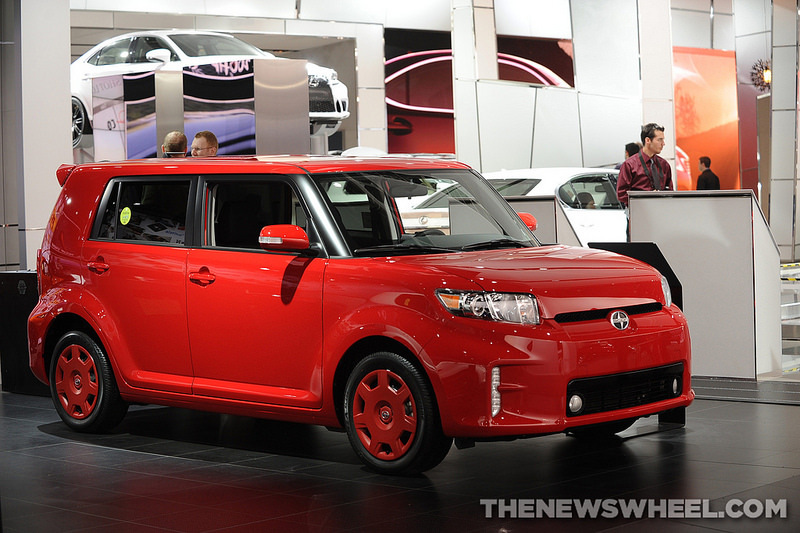 The 2014 Scion xB’s four-cylinder engine returns 22 mpg city and 28 mpg highway. The 2014 Scion xB boasts the sleek, attractive interior you would expect from a vehicle trying to lure young car-buyers, and it couples that nicely with impressive legroom for both front and rear passengers. As is the inspiration for all aspects of a Scion, the interior of the 2014 xB is highly customizable and available features include a BeSpoke sound system, navigation, smartphone app integration, and a rear-seat entertainment system, among others. Standard safety features in the 2014 Scion xB include traction and stability control, antilock brakes, and front-seat side and side curtain airbags.